Through our professional growth in development towards 21st Century learning and in alignment with our district’s Strategic Plan, Heather teachers have been exploring and researching alternative models of teaching and learning. In addition to our expanded multiage program, we also offer a shared/collaborative classroom model within the K-2 program. In an effort to better meet the diverse needs of their students, Mrs. Clarke and Mrs. Baldini have moved into the collaborative suite (two classrooms opened to make one larger classroom. 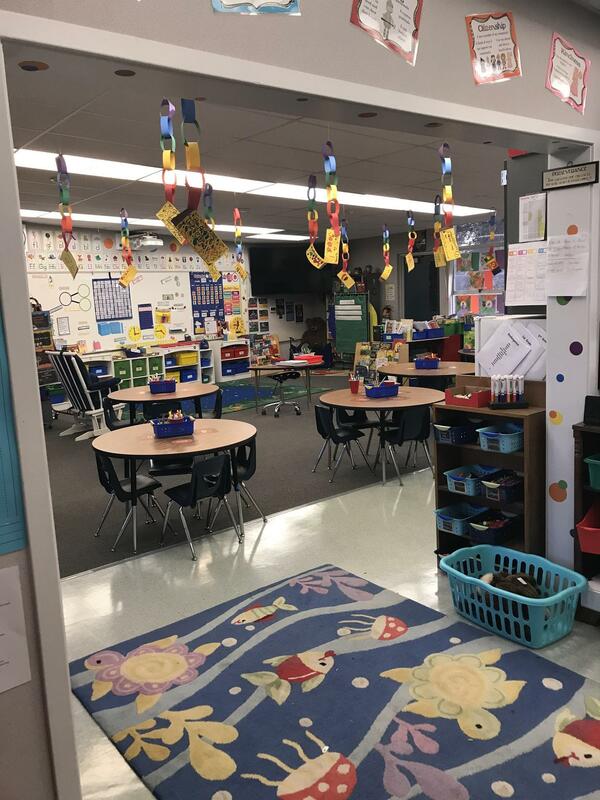 Students in this collaborative classroom benefit from having two passionate teachers with different teaching styles and skill sets to engage their students. These students also benefit from a larger classroom community with potential to develop more relationships as well as shared ownership over his or her learning with a focus on developing self-efficacy and metacognitive skills. In order to support this larger learning suite, we did a minor remodeling of Rooms 9 and 10, opening up the walls between the two adjoining classrooms. We have named this class, “Room 910” in the spirit of the joined class.